From early flight through jumbo jets, this board book, jam packed with more than 30 flying machines, will soar into the hands of your little ones. According to The Washington Post, Gail Gibbons, “has taught more preschoolers and early readers about the world than any other children’s writer-illustrator.” She has published more than 100 informational titles, all fully vetted by experts,. Her many honors include The Washington Post/Children’s Book Guild Nonfiction Award and the NSTA Outstanding Science Trade Book Award. 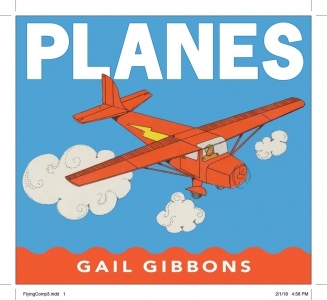 Propeller planes, jets, pontoon planes, helicopters - even the space shuttle can be seen in this high-flying board book!